The infrastructure ministry said Tuesday it will consider excluding contractors involved in bid-rigging related to the Tokyo-Osaka maglev train project from its list of designated bidders. Land, Infrastructure, Transport and Tourism Minister Keiichi Ishii, speaking at a regular news conference, said he will consider excluding the firms from the bidding process for public construction projects ordered by the ministry. His remarks came after prosecutors on Friday arrested Takashi Okawa, a former managing director of Taisei Corp., and Ichiro Osawa, a division manager of Kajima Corp. for allegedly violating antitrust regulations in bidding for the construction of a new station building. Both denied the allegations, according to investigative sources. 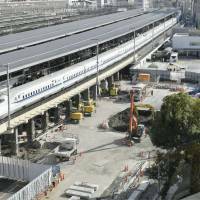 But separate investigative sources said Monday that a senior company official admitted during questioning by prosecutors that Taisei was involved in rigging bids for work on the multi-trillion-yen project. The official was a subordinate of Okawa, 67, currently an adviser to Taisei. Okawa is suspected of conspiring with senior officials from industry rivals Kajima, Obayashi Corp. and Shimizu Corp. around 2014 to 2015 to decide which of the four would win orders for building Shinagawa and Nagoya stations for the Chuo Shinkansen Line, which will use magnetically levitated trains to slash travel times between Tokyo and Osaka. 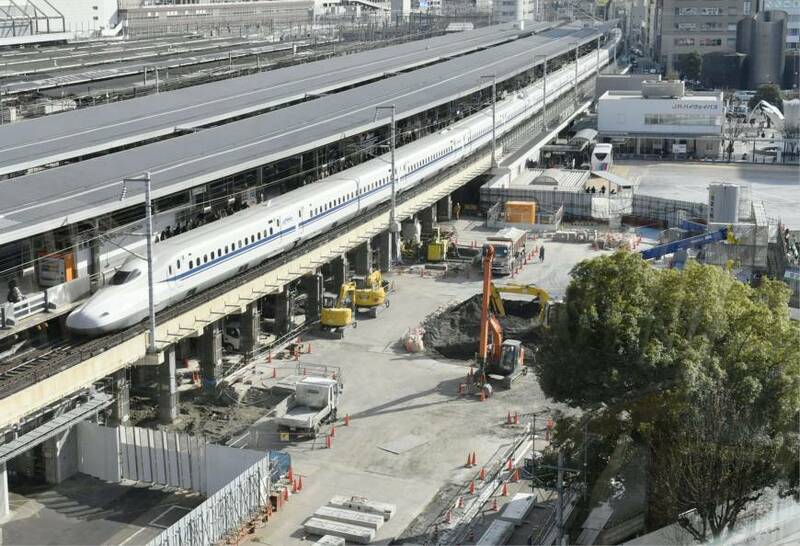 The line is being built by Central Japan Railway Co. (JR Tokai). The first section will travel between Shinagawa Station in Tokyo and Nagoya. The special investigative squad of the Tokyo District Public Prosecutor’s Office found related technical documents from a rival firm on a computer server at Taisei. The discovery is being viewed as evidence of information-sharing among the four contractors, the sources said. The senior officials involved are believed to have used the shared documents to instruct company staff to calculate bids that would help the intended bidders succeed, the sources said. Okawa’s former subordinate told prosecutors during voluntary questioning that the information-sharing could have amounted to illegal collusion, they said. Following his arrest, however, Okawa denied this suggestion but admitted he had exchanged related information with his three counterparts. Another Taisei official is also believed to have denied the alleged bid-rigging, insisting the company’s bids were not decided in line with Okawa’s instructions, according to the sources. The special investigative squad is also set to indict former executives of Obayashi and Shimizu over their alleged involvement in rigging related bids. Both companies have admitted to the allegations, according to the sources. Tokyo prosecutors are likely to indict all four general contractors involved in the alleged bid-rigging, as well as the individuals concerned, the sources said. The government has allocated ¥3 trillion for the ¥9 trillion high-speed train project. corruption, JR Tokai, maglev, Kajima Corp., Taisei Corp., Obayashi Corp., Shimizu Corp.